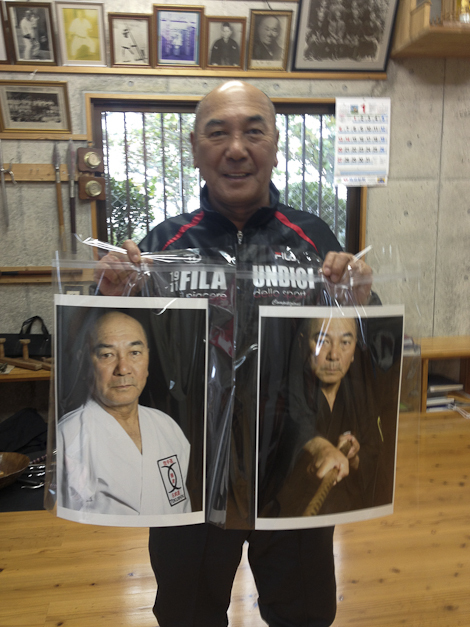 Tokumura shows off the new pictures for his dojo. Dropped off a couple of photos for Tokumura-sensei today. It’s always great to see the karate masters beaming when they see their prints. Tokumura happily told me that he’ll get them framed and they’ll go up on the wall beside the portraits of his own mentors.